This strange variant of the Bee Orchid Ophrys apifera has a rather pointed lip which is greenish yellow and mottled with brown markings. 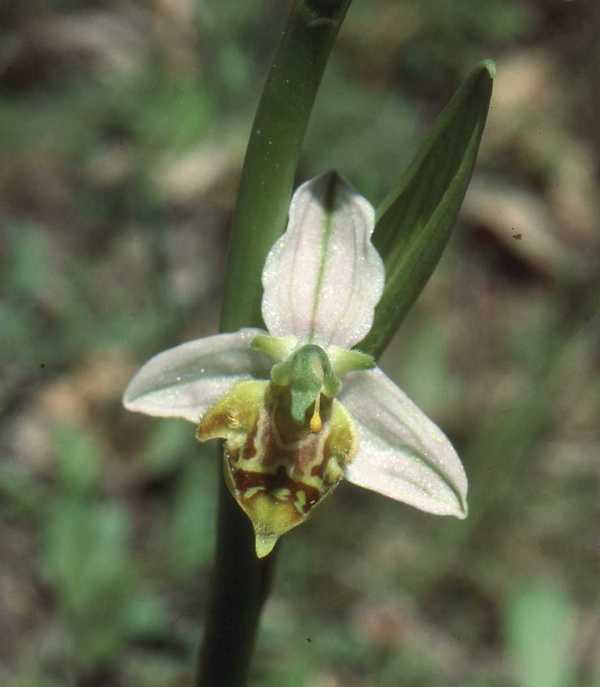 It puts in an occasional appearance throughout the range of the Bee Orchid, and plants with pale, almost white sepals also occur from time to time. This orchid flowers from April to May, and the specimen shown on this page was photographed in Cyprus.